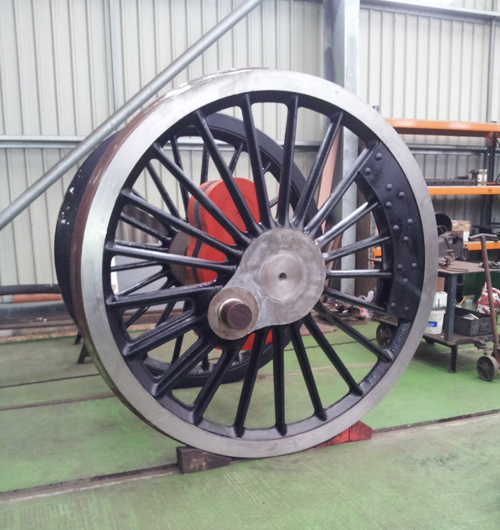 The new 6'9" driving wheelsets for 'The Unknown Warrior' were cast at the Boro foundry between September 2010 and Janaury 2011. 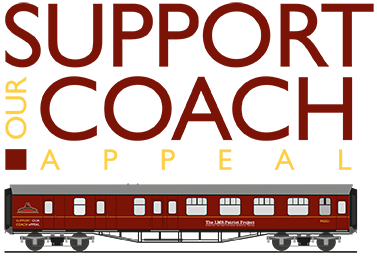 The wheelsets were then assembled at the Buckfastleigh Workshops of South Devon Railway Engineering. The work, which included new crank axles, was completed in July 2013. The wheelsets were then taken to Tyseley Locomotive Works on 3rd July 2013, where the axle boxes were due to be fitted. 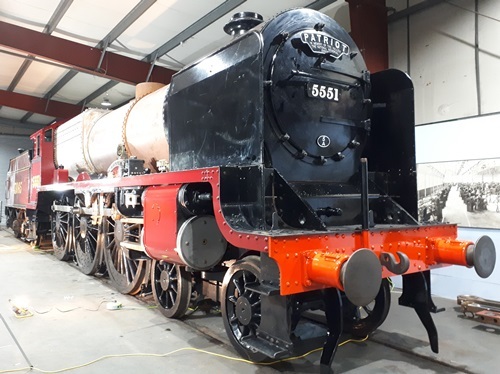 After painting by LMS-Patriot Project volunteers at Tyseley, the wheelsets were temporarily fitted to 'The Unknown Warrior' at Llangollen. This enabled the rolling chassis to be displayed at The National Memorial Arboretum and the Warley NEC National Model Railway Exhibition during November 2013. After the Warley Exhibition, the rolling chassis was taken to Tyseley Locomotive Works to have the axles boxes fitted and the driving wheels attached to the frames. This work was completed in May 2014.